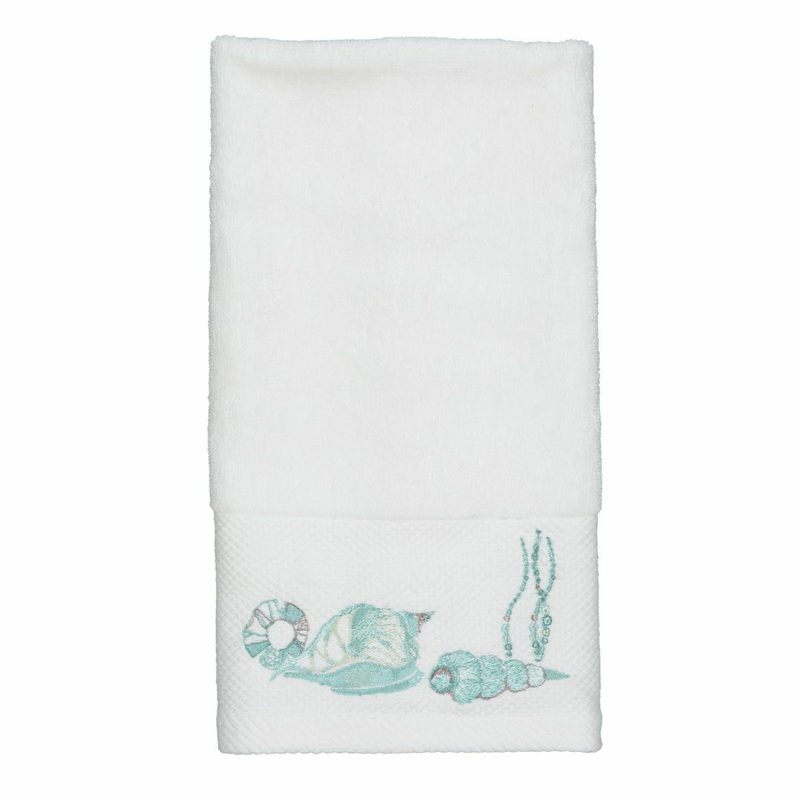 Make a statement in your bathroom with the Aqua Shells & Seagrass Hand Towel. These beach-themed towels are adorned with shells, sand dollars and seagrass in cool, relaxing shades of white, sea green and aqua for a true coastal feel. For even more options, we ask you to take the opportunity to explore our full collection of beach-themed towels at Bella Coastal Decor now.